Tea samplers. 16 counts in total. 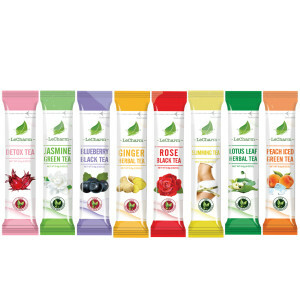 A selection of herbal teas, fruit teas and flower teas. This is a perfect way to try all of our eight tasty and refreshing teas. Find your favorite teas and taste the new flavors. 16 sachets in total. 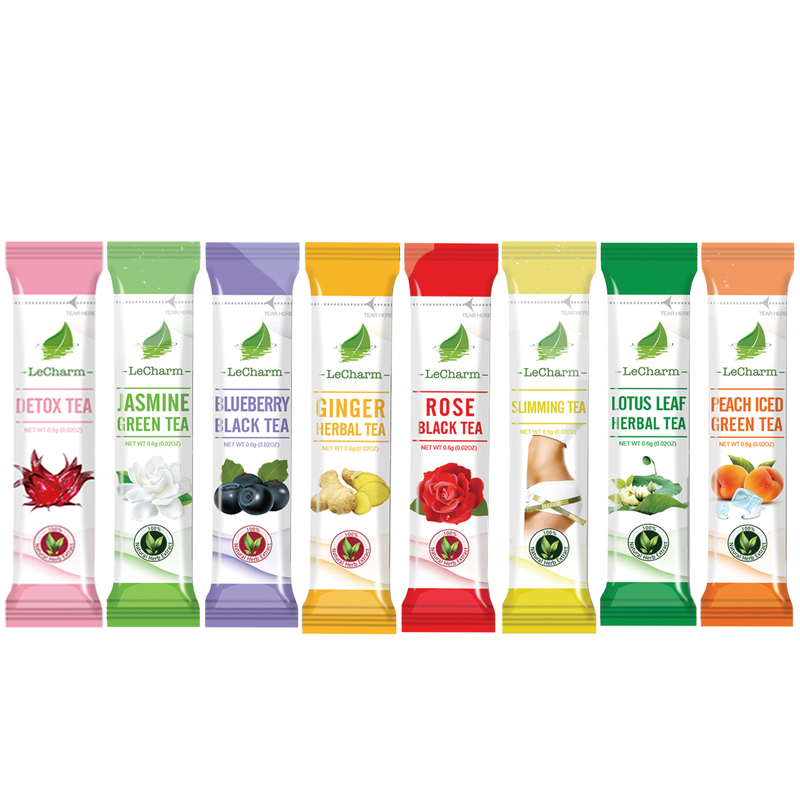 The sampler includes a selection of 2 pouches teas each of: Jasmine Green Tea, Rose Black Tea, Peach Iced Tea, Blueberry Black Tea, Lotus Leaf Tea, Slimming Tea, Detox Tea and Ginger Herbal Tea. Share your tea at home, office or any occasion. Having the way to try a bunch of exciting new flavors without buying a whole box is excellent!! I am literally having the time of my life trying all these tea flavors I never even knew existed!! Such a vast & lovely selection. This tea sampler contains 8 different tea flavors so I can try each one out and determine which ones I enjoy the most. I love tea and I like to try different ones as often as possible. This is a good way for me to try different teas without spending a lot of money on something I might not like. Very convenience, do not need tea filters or infusers to use. I enjoy the different flavors of teas. I bought this as kind of an alternate from loose leaf tea. These teas are delicious! My favorite is the blueberry tea, jasmine green tea and detox tea. The individual packaging for this sampler is very convenience, and each are the perfect amount for once personal cup of tea. 8 delicious favors. It’s great that there are more options without sugar. The taste on some were fine. should I get this or should I get blueberry. seems like everyone is into blueberry. I am worried about the ginger flavored one.